Control + Alt + i ( Command + Option + i ) = Change the image size. Control + Alt + c ( Command + Option + c ) = Change canvas size. Control + + ( Command + + ) = Zoom in. Control + - ( Command + - ) = Zoom out. Control + ; ( Command + ; ) = Show guides, the custom-placed single straight lines that help you align objects to one another. Control + ' ( Command + ' ) = Show grid, the automatically generated horizontal and vertical lines that help align objects to the canvas. These shortcuts will activate the previously selected tool in the group of tools. For example, if you have last used the Magic Wand tool under the selection tools, the "w" shortcut enables the Magic Wand tool -- even though it's not the default selection tool. But, if you haven't used any tool in the group, it will enable the default tool. Make sense? Note: To cycle through tools that share the same shortcut, press Shift + the shortcut key. Or, hold Alt (Option on a Mac) and manually click on the tool in the toolbar. , or . = Select previous or next brush style. Shift + , or . = Select first or last brush style used. Caps Lock or Shift + Caps Lock ( Caps Lock ) = Display precise cross hair for brushes. Shift + Alt + p ( Shift + Option + p ) = Toggle airbrush option. Control ( Command ) = Toggle between Slice tool and Slice Selection tool. Shift-drag = Draw square slice. Alt-drag ( Option-drag ) = Draw from center outward. Spacebar-drag = Reposition the slice while creating the slice. Once you open blending options, you can cycle through blending modes manually by selecting them from the toolbar on the right-hand side of your screen above the layers panel. Or, you could use keyboard shortcuts to select them without moving your mouse. To use these keyboard shortcuts, select the Move tool and then select the layer you'd like to use the blending options on. Shift + + or – = Cycle through blending modes. 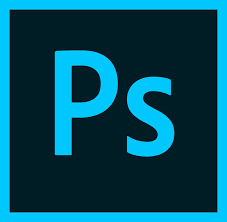 Do you have any Photoshop shortcuts up your sleeve? Share them with the rest of us in the comments below.